I got this recipe from A Bountiful Kitchen, and it is honestly one of my favorite things to make. It is so easy, has just the right amount of spice, and warms you right up on a snowy day like, well, today if you live in good old Utah. Anyway, you should totally try it because it'll make you incredibly happy and satisfied. Just sayin. 1. Saute onion in oil under tender, about 5 minutes. Add garlic and cook 1 minute. Add chicken, beans, broth, chiles and seasonings. Bring to a boil. Reduce heat and simmer uncovered for about 30 minutes. Remove from heat. Stir in sour cream and half and half. Serve immediately. *For a Slow Cooker version: Add all the ingredients, including a whole chicken breast, into a slow cooker and leave out the sour cream and half & half. Cook on high for 4 hours. When there are 30 minutes left, remove the chicken, shred it, and place back into the slow cooker. 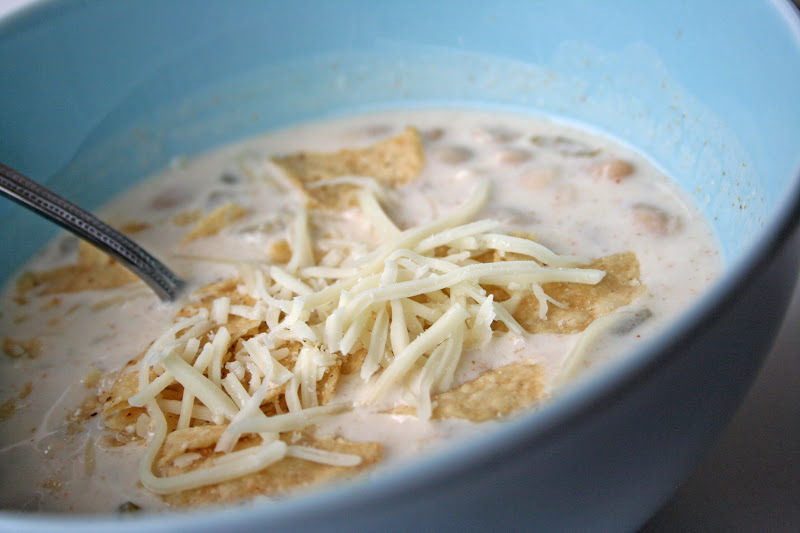 Stir in the sour cream and half and half and cook for the remaining 30 minutes. 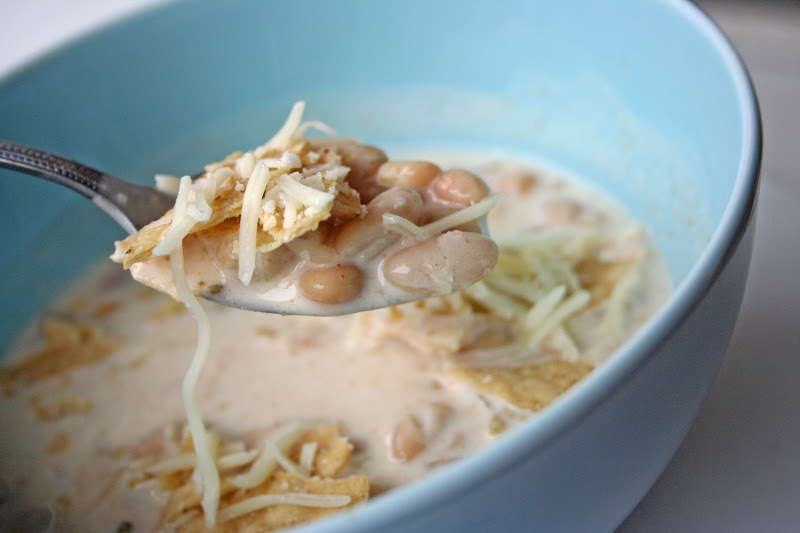 Optional: Top with tortilla chips and cheese to make it extra tasty. Tostito's Hint of Lime are perfect with this. i'm adding it to my recipe book right now. i haven't tried it yet, but i know i will like it. You'll honestly love it. It's so easy and has the best flavor. If you want it to be even better...crush some Tostitos Hint of Lime chips on top. So good!